The Pi Top is an educational kit. It appears as though it is in the early stages of planning an upcoming crowdfunding campaign. the basic idea is that you assemble the entire laptop yourself and learn a few things along the way. 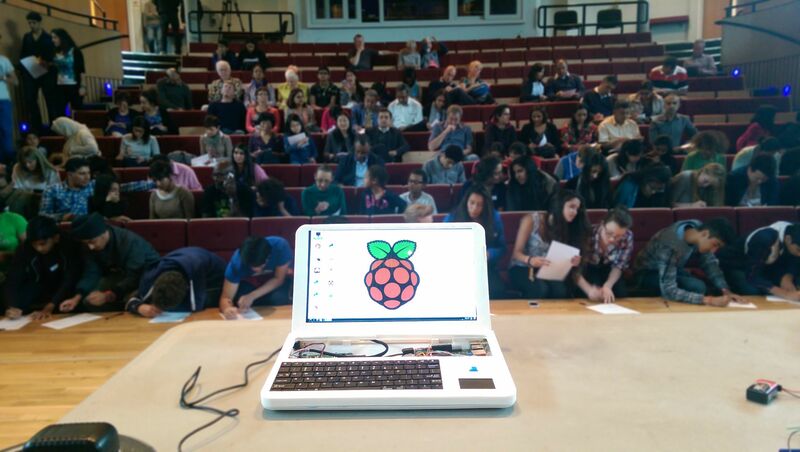 There are a series of lessons packaged in software that come along with the raspberry pi powered laptop as well. To find out more about the entire Pi Top project, you can check out their website and sign up for updates as they get closer to opening their campaign. What caught my eye on this project was the log they shared of trying to prototype their fully 3D printed laptop case. Keyboard fit nicely, the printer managed to keep things pretty tidy on the corners even at 13 inches high. You can see the slight extrusion lines, no sanding was done on this prototype. The hinge is quite stable, a metal bar holds the hinge together – the back of the print is at an angle there so that we could put the bar inserts in easily. We used strong clear tape so we could dissemble the prototype if needed. Our final prototype is close to being printed and will be 1/3 thinner than this first 3D printed prototype. The case is roughly 13 inches x 9 inches. This piece took 38 hours to print .2mm layers 30% infill printed in PLA. Printer used: Rostock Max V2 kit, with E3D all metal hotend upgrade. We worked with a .5mm tolerance. The pieces fit nicely together. This prototype has taught over 400 people about hardware. It’s starting to show some signs of wear. Support settings: KISSlicer with medium support, at 45 Degrees with a horizontal gap (from object) of 1mm.